The Carl Kempner Award was named in memory of Carl Loeb Kempner, husband of Doris Kempner, who has been an active Ackerman Board member for many years. The Kempners’ commitment to education and social services has been lifelong. 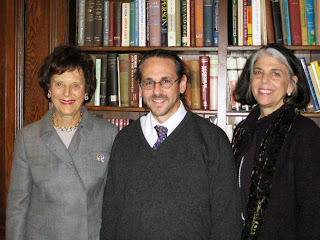 With the support of the Armand G. Erpf Fund, the Carl Kempner Prize continues to enhance knowledge in the development of clinical interventions and in the training of therapists who work with families coping with major health issues. Each year the award is given to an Ackerman Institute for the Family student or faculty member engaged in the most innovative research in the area of families and health.